Aside from Mother Nature, there are few forces in our everyday lives that are as powerful as a speeding locomotive. One man decided to showcase this fact in a brief video taken at the village of Salisbury in Westmorland County, Canada. 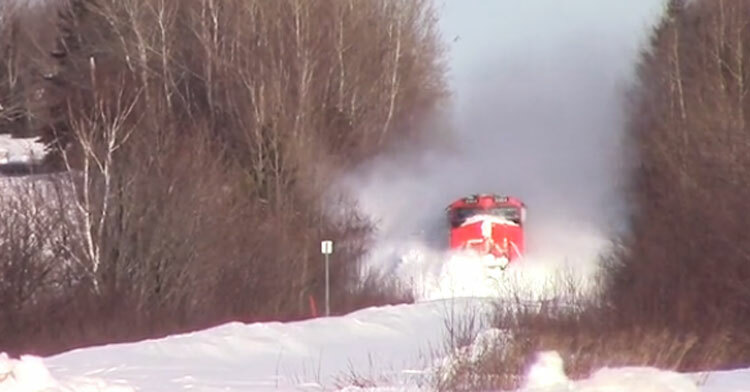 The Canadian National Railway locomotive 2304 takes this route every day from Moncton to Saint John in New Brunswick, so this intrepid photographer set up his shot and waited. The resulting video is absolutely thrilling! We see the train rounding the corner, and it starts to plunge through the deep snow, plowing through it with ease. One look at the train’s front windows show us that the engineers must be flying completely blind in there! 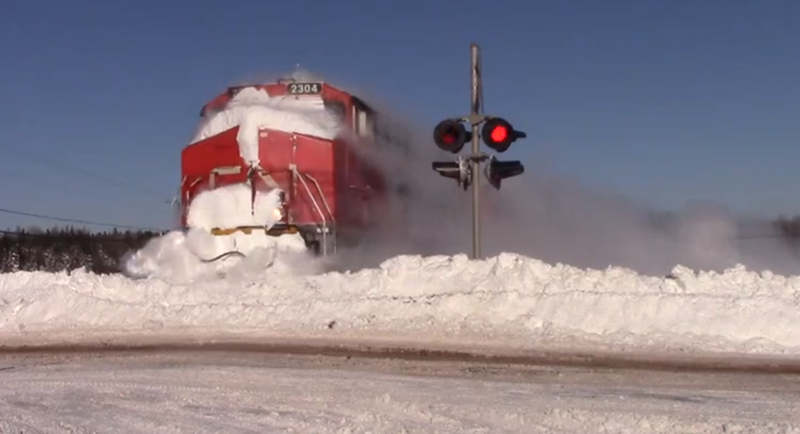 At times the train is completely obscured by a wall of snow, but that’s just the beginning. The tension builds before impact. 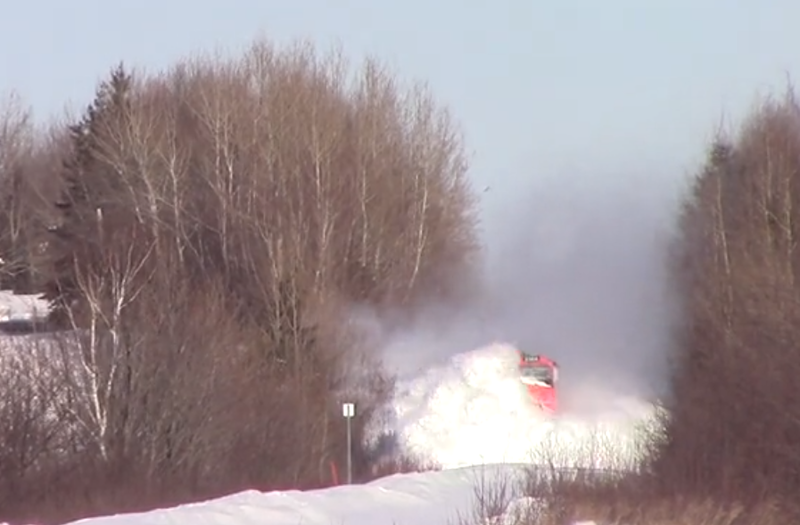 Then you realize… what’s going to happen to all that snow when the train barrels into it? Bam! 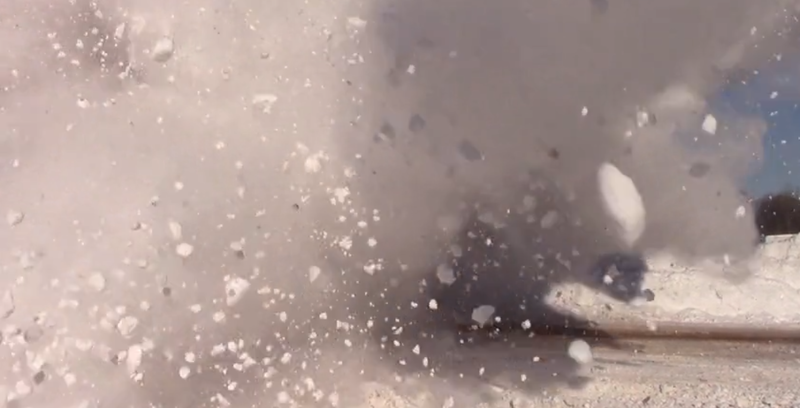 The world erupts into a white-out, yet the train rumbles on like nothing ever happened. All in a day’s work for the Canadian engineers who drive this massive train each and every day. Watch the video below, and be sure to share it with other armchair thrill-seekers!